Suppose your business is struggling to recruit more high-demand talent and stem off high turnover in the meantime. You cannot keep up with demand, and your competitors are turning your missed opportunities into their wins. Your revenue is on a down turn. Your customer relationships are suffering. And most likely, your existing workforce is burning out and becoming disengaged. It’s a reality that every HR organization – in varying degrees – experiences from time to time. It’s a highly visible matter that strikes the bottom line and threatens productivity, giving CEOs and the rest of the boardroom a reason to be concerned. But unfortunately, many HR leaders are missing out on looking at the issue holistically with in-depth analysis and with an end-to-end perspective of long-term employees, new hires, and job candidates. Ever since the first customer meeting at this year’s SAPPHIRE NOW, it was astounding to see how many HR organizations are moving beyond administrative activities to focus on strategic business objectives. However, most of them were still struggling to ask the right questions to determine whether staffing levels are adequate, a training program is improving performance, or a specific skill will be needed to support future business needs. So, what’s the next move for these organizations? It’s quite simple: HR must establish itself as the heart of an intelligent organization, where the entire function is inextricably linked to the enterprise and injecting information and insights in a continuous loop. This system bridges the entire lifecycle, from recruiting and onboarding to HR and payroll, time and attendance management, learning and development, performance and compensation, succession, and extending to alumni engagement. For years HR has been capturing a large variety of data from across the complete employee experience. To draw value from this treasure trove of data, HR can leverage integrated analytics to make connections between how people work and how the business performs. Finance, manufacturing, supply chain, environmental health and safety, customer experience, and other business data can then be pulled into this insight-driven ecosystem to guide every function through a common language and vision. In return, HR specialists can model and anticipate risks such as employee attrition, benchmark top talent to set standards and guidelines for hiring and development, and find links between employee performance and business results such as customer loyalty and profitability. In return, the entire HR function can better balance priorities between administrative and value-add activities, and is ready to handle evolving workforce and business dynamics no matter where they occur. The organization can rigorously consider the workforce drivers and implications of every decision, especially when talent supply, workforce culture, and the succession pipeline are under the CEO’s microscope. 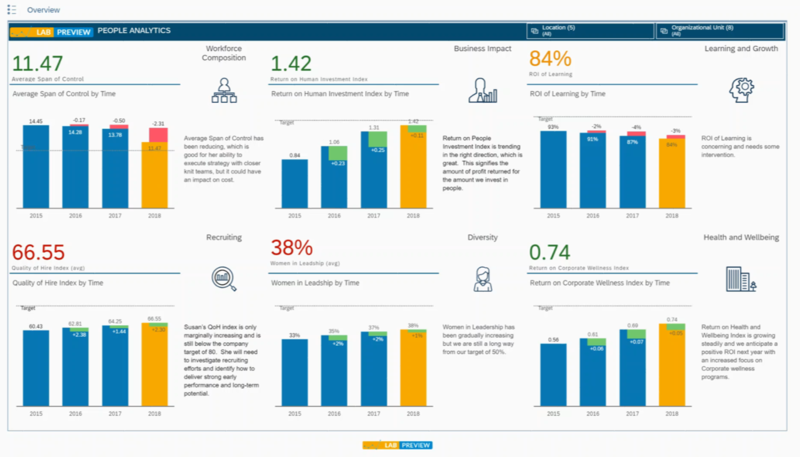 SAP SuccessFactors has led the market globally for decades through the artful combination of deep experience in HR combined with unique technology to transform raw people data into a single version of the truth and to build the industry standard for HR metrics and benchmarks. 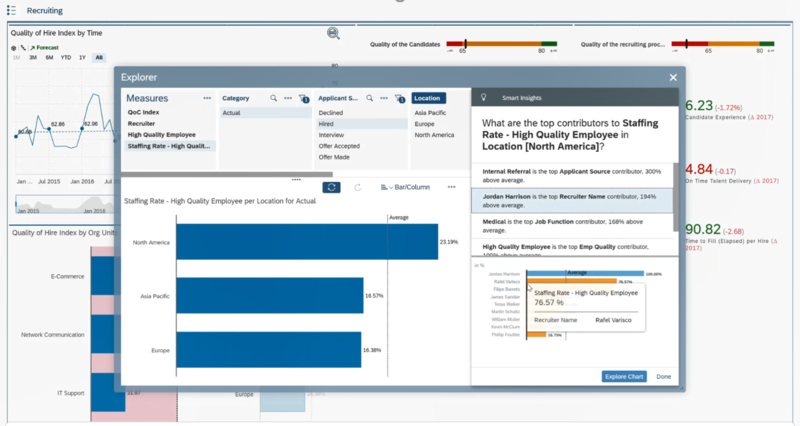 SAP SuccessFactors’ vision is to fuse its deep HR domain expertise with the equally robust analytics technology from the SAP Analytics Cloud. 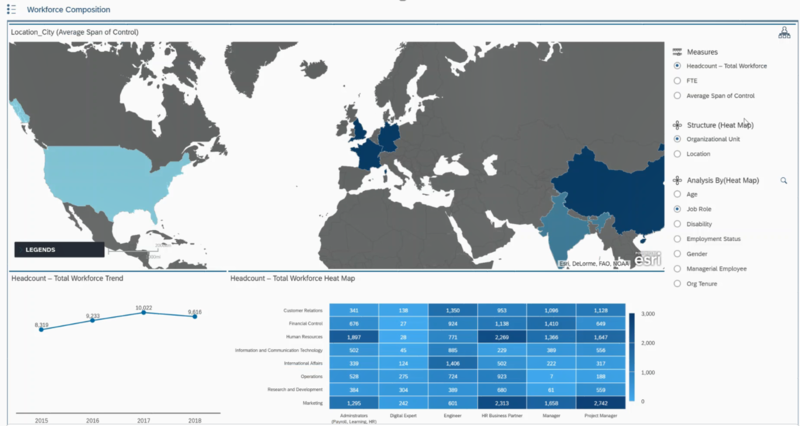 This will facilitate the easy blending of HR and talent data with data from finance, operations, sales, marketing etc. all within one user experience. 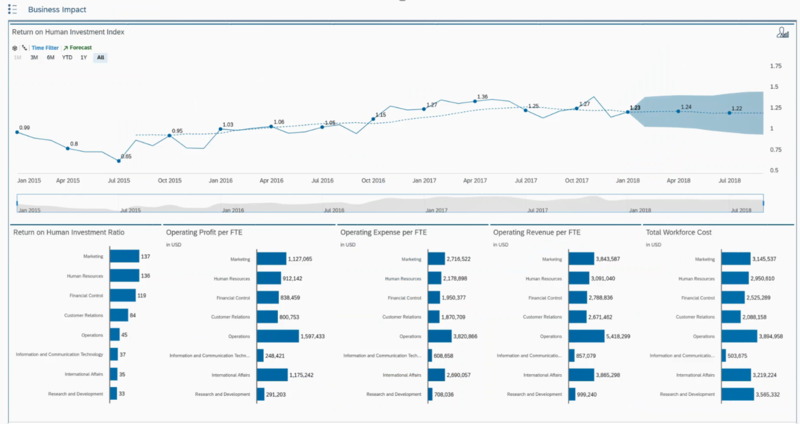 Importantly this new capability will support the full business, guiding the board and senior executives, line of business leaders and local managers, HR business partners, analysts, and planners. The best run companies have two things in common – good leadership and talent that is connected to their company’s purpose to drive phenomenal results. Shatter old mindsets to turn HR into a data-driven powerhouse for the future of your workforce. Read the SAP executive study, “4 Ways Leaders Set Themselves Apart,” created in collaboration with Oxford Economics.